Hi there. I hope you are doing well today. Today I’m going to cover info on inhaling essential oils. I’ve found that I really enjoy inhalation as a way to consume my essential oils. And I think you might too. Inhalation doesn’t have to be complicated. In fact, the simpler, the better. Taking in the healing qualities of plants via inhalation is a staple practice in aromatherapy. And for good reason. When we inhale essential oils deeply the highly sensitive cells in the back of our nostrils are stimulated and send signals directly to the brain. Below you’ll find a variety of methods and recommendations on how to go about this effectively. By the end of this post, your mind should be brimming with ideas of great ways to inhale your favorite oils. 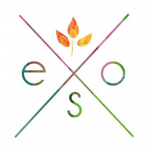 What are the Benefits of inhaling essential oils? Mixtures for clearing out your sinuses and relieving congestion and sickness. Blend #1: Perfect for coughs, loosening and expelling mucus. It’s also strengthening the lungs. Oils for Inhalation that uplift, inspire and promote wakefulness. 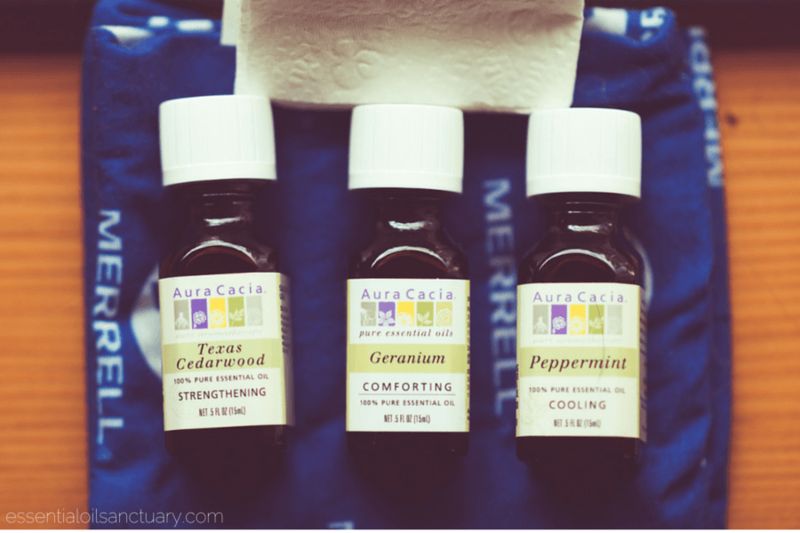 Oils that calm, soothe and relax. 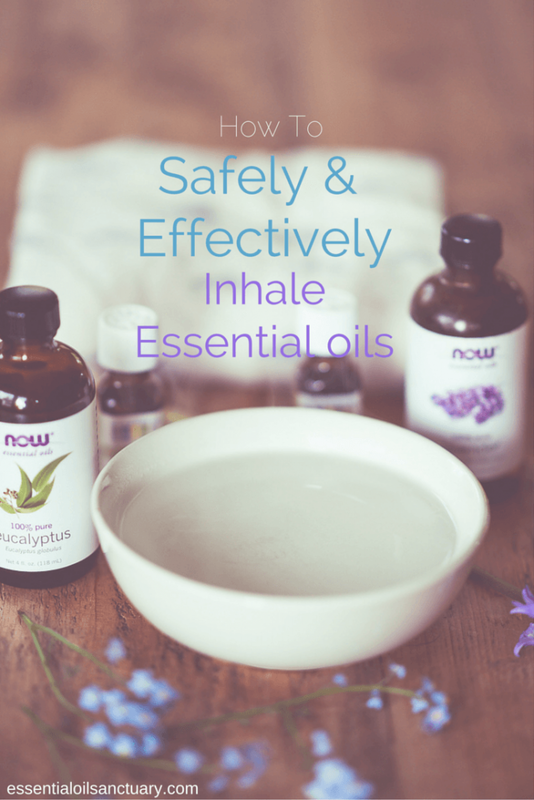 While people inhale and diffuse essential oils for a variety of reasons, it’s been shown that inhalation is most effective and best suited to treat a variety of respiratory complaints. Bronchial and sinus congestion, sore throats, colds, coughs, bronchitis, influenza… these are all remedied by inhaling the right mixtures of essential oils for your particular ailment. While essential oils prove most effective for the aforementioned uses, they can also support wellbeing in many other ways. But it’s good to remember that the experiences will vary when inhaling essential oils for emotional purposes. Results are often subjective to the individual. For example, bergamot essential oil is known to be soothing and emotionally stabilizing for some when inhaled, but others may not even enjoy the experience. Now let’s go over a variety of ways that you can comfortably inhale your favorite oils. The basic premise is simple: get the active compounds of your therapeutic oil into your throat/lungs/bloodstream. The methods listed below all accomplish this, with the steam inhalation method being the most immersive and enjoyable in my opinion. Since inhalation works over time, bedtime can be one of best times to apply your oils. Simply place 3 to 5 drops of your oil(s) on your pillow or on a cotton ball near your bed to get a mildly diffused inhalation effect throughout the night. Alternatively, place a small amount of salt or Epsom salts in a bowl or wide-mouthed jar and put 10-15 drops of essential oils in the salt. The salt slows the evaporation rate of the oils so you’ll get a longer diffusion throughout the night. Add 1 to 3 drops (or more, if you fancy) of your favorite essential oil to your favorite tissue, handkerchief, or if you’re a dapper fellow; pocket square. Carry it around with you and inhale liberally. Purchasing a ready-made, portable inhaler gives another easily pocketable option for inhalation. They’re like a small a tobacco vaporizer, sleek and simple. They actually remind me a few tampon applicators… But I digress. 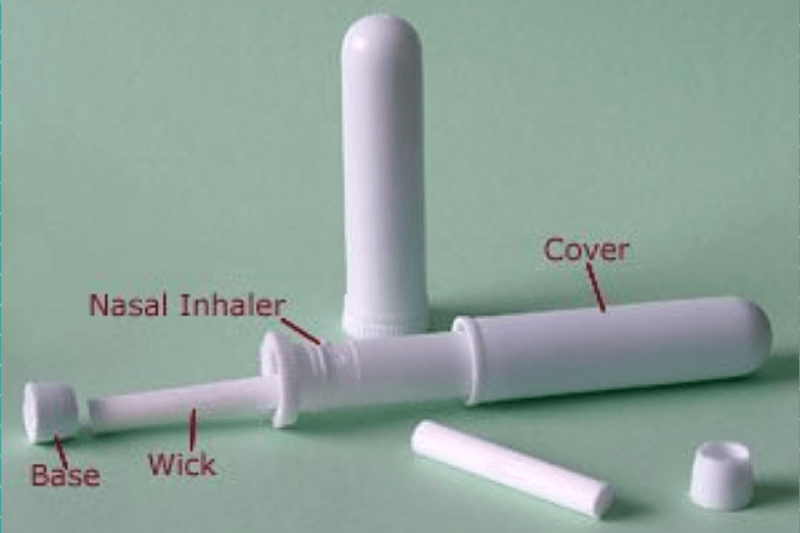 Slide your insert into the plastic inhaler tube. Seal it with the cap. There you go – a super small set up that’s great for keeping in your purse or pocket. If you decide to buy an inhaler I recommend these inhalers from essentials. They’re inexpensive, made in the US with pharmaceutical grade plastics and feel very sturdy overall. There are some cheaper options available, but since we’re dealing with plastics, I’d recommend avoiding the cheap stuff since it’s most likely made in China. And a little FYI, there’s a money saving trick when ordering more inserts: Certain tobacco filters (like these) are a perfect fit for the inhaler I mentioned above. They’re cheap and work very well. You’ll be spending a lot more if you instead buy the replacement inserts that are specially made for your inhaler. Next up we have my favorite way to inhale essential oils. Though I enjoy having multiple methods handy, there’s just something about closing my eyes and relaxing over an aromatic bowl of steaming oil-infused water. It’s like a steam sauna for your face. Can’t beat that. Pour hot water into a bowl and add 2-3 drops of your preferred oil(s). Sometimes I’ll add more, but that might be just me. Close your eyes and inhale deeply through your nose for about one minute, up to 2 minutes at a time. Repeat 2-4 times, as necessary. If you’ve been stuffy you should notice immediate decongestant relief. If you are so stuffy that you can’t even breathe in through your nose, you might want to start with a Neti Pot before giving steam inhalation a try. I’ve put this one last because it’s the least effective way to administer your oils via inhalation. Don’t get me wrong – I love diffusers. When I’m in my room I pretty much always have a strong diffusion going, incense burning and my heater cranked. Mmmm. But for the strong, therapeutic effects of inhalation – especially when dealing with sickness and congestion complaints – I recommend a stronger and more direct method like any of the ones I’ve listed above. But again, it depends on what you’re looking for. If you just want to set the mood and gently inhale your favorite oils, a diffuser is a fantastic tool. There’s a few that I recommend. I’ve written a post about diffusers that also acts as a price guide. You can check it out here. Combine oils in a 1/6 oz (5 mL) glass dropper bottle and mix well. When needed just add drops for use with your desired inhalation method. Alright, on to the cheerful and positive energy oils. Hope you’ve enjoyed. If you have any questions or comments, please make yourself heard in the comment section below. Thanks for sharing this information. 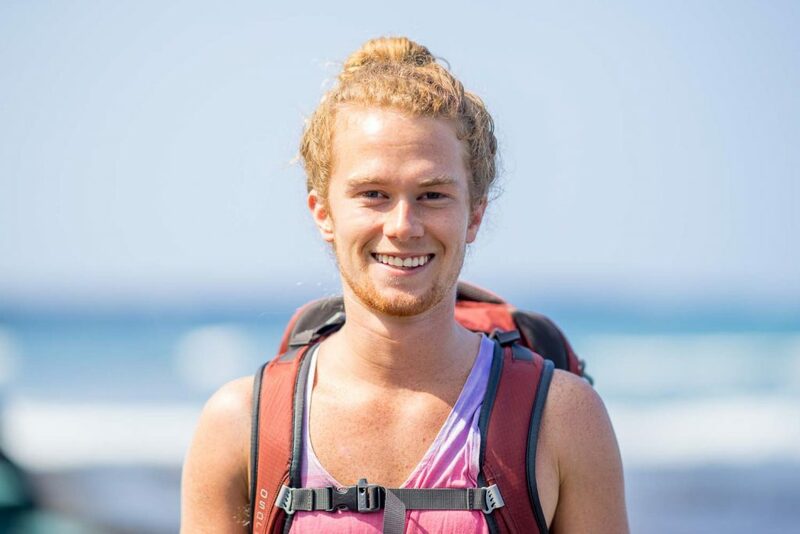 I’m new to essential oils and enjoyed reading this article. I’m confused about your directions regarding the steam method. You state to “repeat 2-4 times, as necessary” Do you mean 2-4 times per day, or repeat 2-4 times in one application? Hi Ron. For the steam method I had meant to repeat it in one application. I read Peppermint is good for migraines. Would you suggest a mixture of oils and a direct facial sauna inhalation for a really bad migraine? Peppermint is great for headaches and migraines. Early in pregnancy I constantly had headaches not full blown migraines but would carry around a small bottle of peppermint to sniff whenever my head hurt. It was a life saver! Also I switched from the spiral energy saving light bulbs back to the standard lightbulbs and noticed a drastic change in the amount of migraines. Rarely get them now. Good luck!!! Thank you so much for listing off essential oil blends for coughs. I am definitely going to go home right now and put together some marjoram, benzoin and hyssop together and see if it works. However, I have always been having some respiratory problems as well. It is more asthmatic and gets really hard to breathe at night and so do you think that Blend #2 will be able to help with that too, even if it isn’t an infection? Why not sniff the oils directly from the bottle? Why not sniff directly from the bottle? Thank you so much! This helps a lot! But does breathing too much essential oil dangerous? And I always add 5 or more drops to my diffuser (it’s small) with water of course, but there’s not much water, is that okay? And the EO drop to water ratio you mentioned sounds perfectly fine. Never inhale Thyme and you should never ever add more than three essentials oils to a mix nor the defuser. Regards Robyna Smith-Keys of Beauty School books. Please back your claims with reputable sources. Has anyone died from following your rules? Seems pretty serious when you say never. 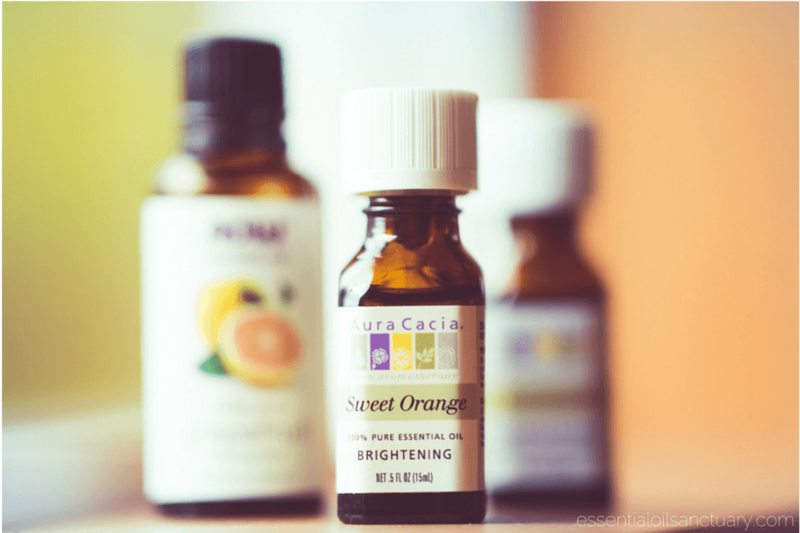 Is there a suggested method for creating a nasal spray using carrier oils for the essential oils? 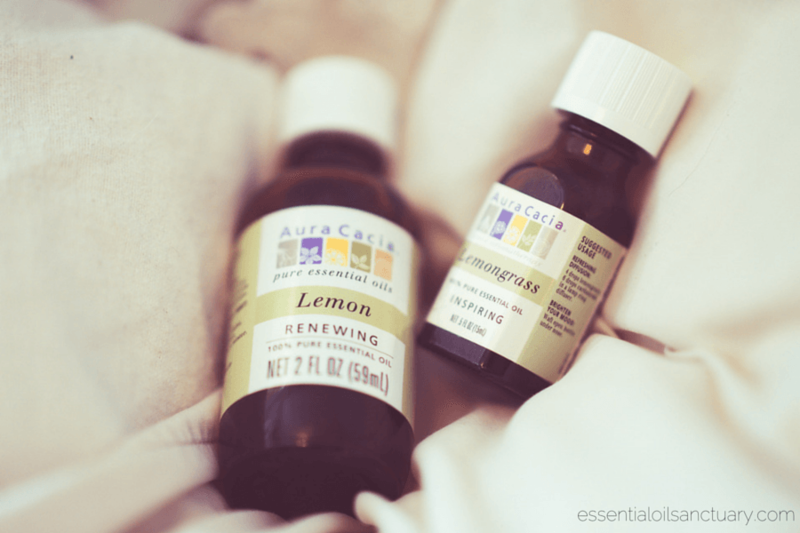 how would you recommend blending oils for a soothing , non stinging nasal spray? Thank you! This information is very helpful. Can your body build an immunity to the oils and make them less effective? I like inhaling my essential oils as well, but prefer to do it in ready made, and mixed blends. I use and love monq. using the code MONQ at checkout gets you 10% off too! What do you think about using an ecig to vaporize essential oils and inhaling the steam that way? could work! Not sure how effectively though. Can I use turmeric oil in my mist diffuser? Will turmeric essential oil used in my diffuser, help me to sleep at night? It certainly could! I like vetiver myself for bedtime. No Tumeric oil is for healing diseases and works best taken in powder form with black pepper and beetroot juice. It is a rejuvenator and as such will probably keep you awake. As Loren said she used Vetiver I recommend Lavender and Chamomile. Robyna of Beauty School Books. What if I accidentally forgot to close my eyes when doing the inhalation method? Will it affect my eyes? You should be okay. But it might depend on the oil(s) used and the degree of exposure. If you are experiencing negative symptoms you might want to check in with a doctor. Thank you for your reply! I wish I came across your website first. I put 2 drops of peppermint essential oil into hot water and at the first whiff, my eyes watered and I remembered that I am supposed to close my eyes. I used some coconut oil later to dab on my eyes to get rid of the uncomfortable sensation. Hopefully it’s fine! 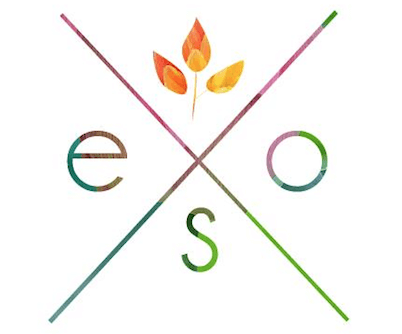 Essential oils are quite tricky and I’m looking forward to learning more about them on your website. Never put essential oils straight into your bath you must mix them with a base oil such as Olive oil or Jojoba oil. 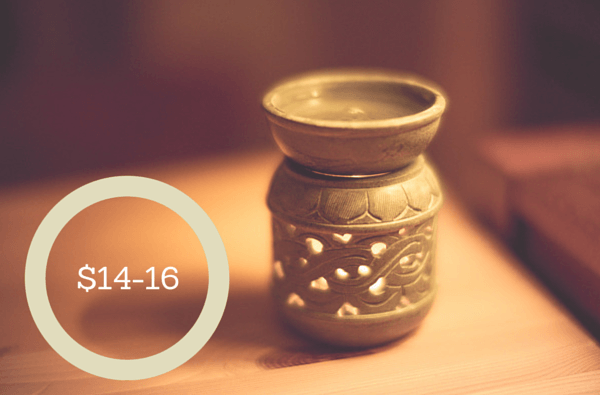 Also be sure to bath by candlelight as incandescent lights turn the odour molecules into toxins. 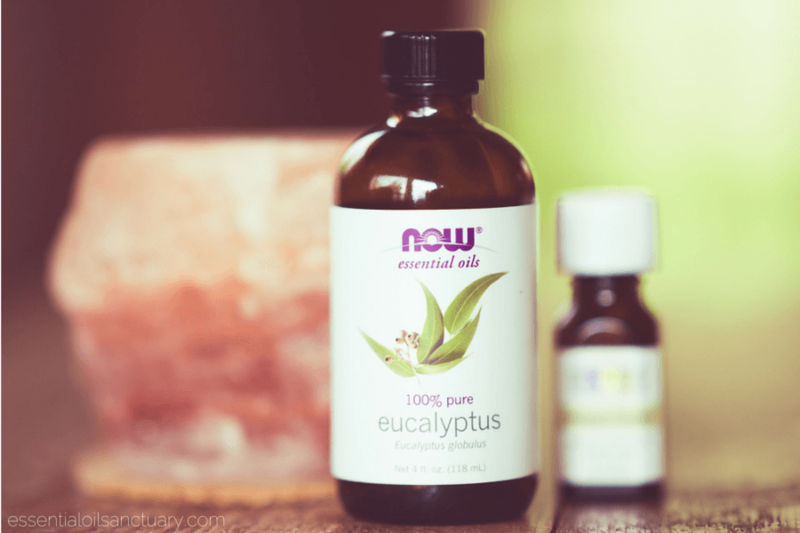 Can to much eucalyptus oil dry out your nose? 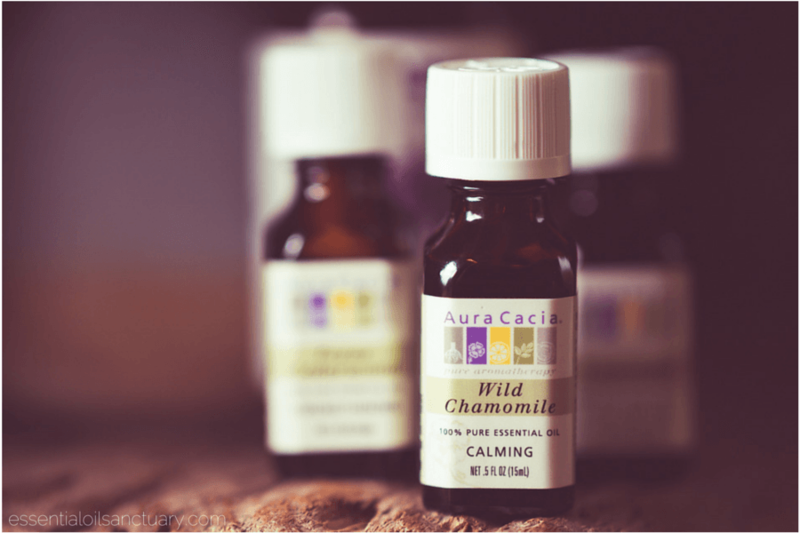 Is it safe to dab aura cacia lavender oil on your wrists? I find this helps me fall asleep. Hi Shelley. Yes, no problem. Hi Nana. It is probably safe, but I would say inhaling that much concentrated oil is likely unhealthy. I’d say switch pillows now, and put that one in the wash. Bonus: whatever you wash it with is likely to smell like lavender! Great read..curious what your ratios were for your last favorite brew? I added many drops of cedar wood essential oil in a big amount of water and tried the steaming method but i inhaled a lot of it. Is it dangerous?? I have a steam inhaler and am curious if I can use it with the essential oils for sore throat and copd. and is there a particular kind to use in the inhaler? I regularly use peppermint EO in a candle-heated diffuser. I have been having terrible congestion and thought I would do the same this evening. I usually pre-mix the oil with water and pour it into the top of the diffuser but I wasn’t paying attention with my headache and poured maybe 20-30 drops in before I realized it. I just put in water on top of it and lit the candles underneath. By the time I realized how strong it was, the scent was overwhelming in the room even with the door open. I am wondering if this is safe and if not, what does one do about having inhaled too much of something like peppermint. Are there negative side effects to inhalation beyond the fact that I am prone to panic and that has already set in with the thought of having done something to hurt myself. I have left the room with the windows open and closed the door into the rest of the house where the scent is far less pronounced. In my bedroom I cannot smell it at all as the door was shut throughout the whole time but it was likely at least an hour or perhaps two before I started to notice just how strong it was. Any suggestions for essential oils in steam inhalation for cold? 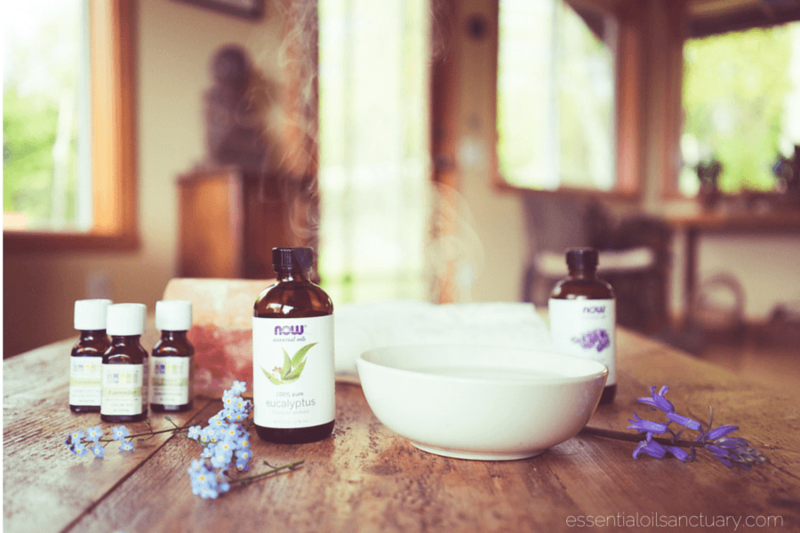 Hi… is it safe to inhale the mist coming out in the diffuser directly? Thanks.